Cafe Report: Whats the Point of Private Property? At Tuesday’s Cafe, Chris Groves surveyed some attempts to provide an answer to this question, which represent private property as essential to human dignity and liberty, a support for identity and mental wellbeing, and the basis of providing efficiently for human needs. Judging by the straw poll at the end of the session, most of those in attendance found these answers (offered by thinkers ranging from John Locke to Friedrich von Hayek) unconvincing! Only 3 people out of the 55 in the Cafe Bar thought that private property did not produce unjust inequalities. Out of the remaining 52, roughly two-thirds agreed that the inequalities resulting from private ownership of goods were unjust. What were the “answers” that people found unconvincing? The last four centuries or so have seen the emergence of what appears to be a consensus, first in the West and then more widely in industrialising, capitalist countries that the universal right to private property is an essential component of a good society. Influential philosophical defences of such a right in the 17th century drew on the natural law tradition in philosophical thought, which proposed that, beyond all historical human law, there were laws to which human behaviour had to conform in order to be moral and just. The English philosopher John Locke (1632 –1704) set out in his Two Treatises of Government an account of how private could be considered as a moral right of all “men”, even in a “state of nature“, a situation in which people found themselves “in want of a judge”, i.e. without anyone who possessed the legitimate authority to settle conflicts. The radicality of this idea shouldn’t be underestimated. Locke was writing against a tradition in English political thought best represented by Robert Filmer (1588 –1653, who in Patriarcha, or the Natural Power of Kings, argued that the model of good government was the role of a father in a family: the king was father of the nation, and as such was free of all human control. Only the authority of God stood higher. Locke proposed that there was a law higher than that decreed by kings. In a state of nature, humans would still obviously have certain natural needs. Further, they would have the right to fulfil these and to preserve themselves. They would have a claim on such resources which others should respect, or be made to respect. This claim, Locke argued, is realised by “mixing one’s labour” with a natural good –performed by, for example, drawing water from a well, gathering fruit, or whatever. In other words, working on something and appropriating it realizes one’s natural right over it. Locke thought that the natural light of reason would, in the state of nature, demonstrate to individuals that anyone being forcibly deprived of the right to feed themselves, obtain water, and find shelter was being subjected to an injustice that demanded redress. This natural right to what one has accumulated has certain limits. Locke writes that one only retains this right so long as one leaves “enough and as good” for others. In other words, if one takes so much of something that others are unable to fulfil their needs, or in doing so spoils what goods there are, then one loses one’s right. Locke thus balances the individual’s realized right over the property he or she has acquired through labour against the right of all others to provide for their needs. One cannot simply stockpile food, dam rivers, and so on. If one does, others can, by right, combine to set the balance straight by force. Another legitimate way to gain private property is through exchange. Locke sees the realization of a right over something as the realization of something that can be passed on through voluntary exchange, which forms a contract. When I give you something that I have acquired legitimately, then the right to possess it is passed on to you as well. This could be done by bartering something which fulfils a need which I currently can’t satisfy, or by exchanging the means to acquire more goods – like money. The proper role for government, in Locke’s view, is to act as the preserver of property rights by codifying and enforcing laws that reflect these natural laws – to property and of voluntary contract – which are themselves expressions of the dignity and autonomy (and the right to self-preservation) of human beings. It’s also possible, however, to interpret private property as a support for human identity. The sociologist Erving Goffman, in his study Asylums, set out his concept of “institutionalisation” (now part of everyday vocabulary) by showing how asylum patients are deprived of their identity when entering such institutions. Part of this is the “ritual” of taking away their personal effects which, Goffman suggests, act as anchors for their identity. In order to rebuild their personalities in line with what the asylum requires, in trying to produce individuals able to slot back into society, the institution – as what Goffman calls a “total institution” – has to control all elements of their identity. Goffman describes how some patients resist this process by getting hold of items which they can hide away, and to which they can become strongly attached – even scraps of newspaper or stones kept beneath a mattress can act as anchors for a sense of identity outside the norms of the institution. In Goffman’s book, the removal of private property is an assault on identity, and thereby, on autonomy or dignity. An institution that aims to define the personhood of an individual, like an asylum, in effect defines what he or she needs, from top to bottom. There is perhaps an analogy between institutionalisation in the sense Goffman uses and what liberals and libertarians in the tradition of Locke – and “the tradition of Locke” could include include everyone from the Tea Party and American Enterprise Institute in the USA to the Conservative Party and the “orange book” Liberal Democrats in the UK – see as unjust about absolutist monarchies and socialist or social democratic governments. Such governments typically try to amend any inequalities which emerge as a result of prviate property and what people do with it through redistribution: through taxing incomes, for example, and providing monies for investing in welfare systems, public infrastructure and so on. Just as the asylum abuses its power over individuals by assaulting their dignity, supporters of the Lockean tradition typically see such measures as abusive – as coercion or violence directed against individuals that infringes their right to enjoy justly accumulated private property. What really matters is liberty, and such uses of power deprive people of the liberty to acquire and exchange property. There is thus a tendency in modern society, say Lockeans, for governments to tend towards totalitarianism, with resdistribution being a major step along the path that leads to society becoming a “total institution”. It’s also possible to make another, complementary argument in favour of private property, which fits nicely with this critique of the oppressive nature of redistribution: that a universal individual right to private property also maximises social benefits. It does this by encouraging investment in different ways to provide goods and services, drives innovation, increases the consumption of goods and services, and thus improves the general welfare of society. This is the line which unites early liberal political economists like Adam Smith and later 20th century critics of socialism, such as Ludwig von Mises and Friedrich von Hayek. Smith, at least in his Wealth of Nations, proposed that the free exchange of goods through prices determined by the seller is the best way to ensure that needs are met more widely throughout society. Individuals will use their capabilities to produce things which can be sold on the open market for profit, and prices will be affected by the amount of goods available and how many of these goods others want. In this way, the private interests of people in supplying their needs through exchange will lead, in aggregate, to the general satisfaction of needs. But an effective private property regime is necessary to allow an effective market in any consumption good to exist. Without enforcement of laws of ownership and contract there can be no predictability and no-one would want to participate in production for exchange. This echoes Locke’s view. 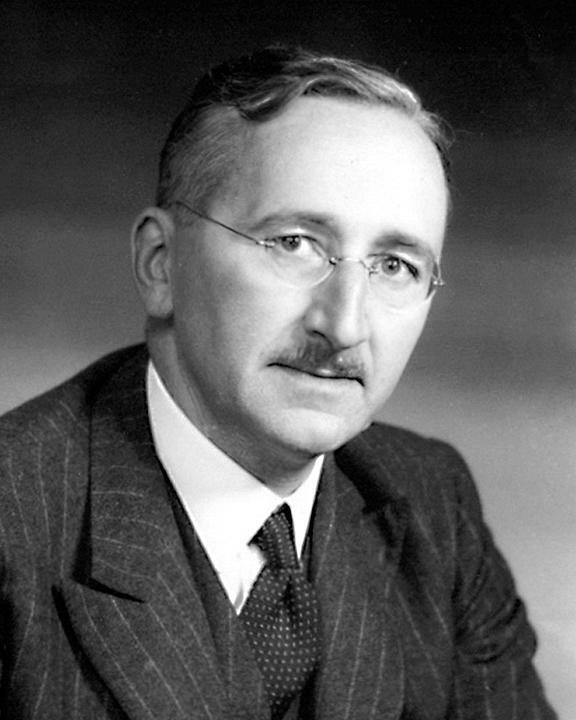 Smith’s argument was built upon by von Mises and von Hayek, both of whom were fierce critics of socialism. Their chief objection to socialism was both moral and logical in nature. In order to achieve the kind of redistribution necessary to remove inequalities deriving from private property, they argue, the government would need access to forms of knowledge it cannot have. These would include data regarding what is needed by whom and who exactly is producing what, all across the nation, along with the capability to model and predict what will happen to prices, supply and demand in the short and longer term. Given that such knowledge is impossible to gather let alone act upon, socialist governments will instead necessarily act to control how production and exchange happens within societies, restricting peoples’ right to produce, accumulate and exchange good as they see fit. This will result in inefficiencies – shortages of goods in one areas, oversupply in others – and a growth in poverty, ill health, hunger and so on. Such problems result from nothing other than the illegitimate exercise of power, supported by an unrealistic belief in the expertise of government. On the basis of these arguments from equality and efficiency, the proper response to the kinds of inequalities which are decried by movements like Occupy Wall Street and wearethe99% (and which are highlighted by this study) would be “who cares?”. If private property is accumulated and exchanged in accordance with natural law and with fair laws that govern contracts, why does it matter who ends up owning it? In discussion at Tuesday’s Cafe, various themes emerged as people expressed their disagreement with this conclusion. Are there really any natural rights, as Locke claims? What about public goods (such as roads, railways, hospitals and so on) which private investment may be incapable of efficiently providing? What do you think? Previous post: Poll: What’s the point of private property? Private ownership of property depends on exploitation to acquire and maintain that property. It legitimises the legality of wealth owned by te few with flawed arguments.Goffman’s study on Asylums is flawed. The inmates are deprived not only of personal possessions but, more importantly, of choice and the absence of choice results in oppression. In a society which seeks to redistribute wealth and end poverty, rather than leave the wealth of the country in the hands of a tiny minority, the individual has more opportunity to develop his/her potential and, therefore, is given choice. They may feel part of society, rather than feel excluded from it, and will feel more inclined to invest in their community. Far from becoming institutionalised and dependent on the State, the individual becomes more decisive and responsible. Interesting points Crin: the need for a certain level of material equality so that people can be freer to realise their potential is a point made by people like Amartya Sen, Martha Nussbaum etc. Nonetheless, I think his point that personal property contributes something distinctive to well-being bears consideration.